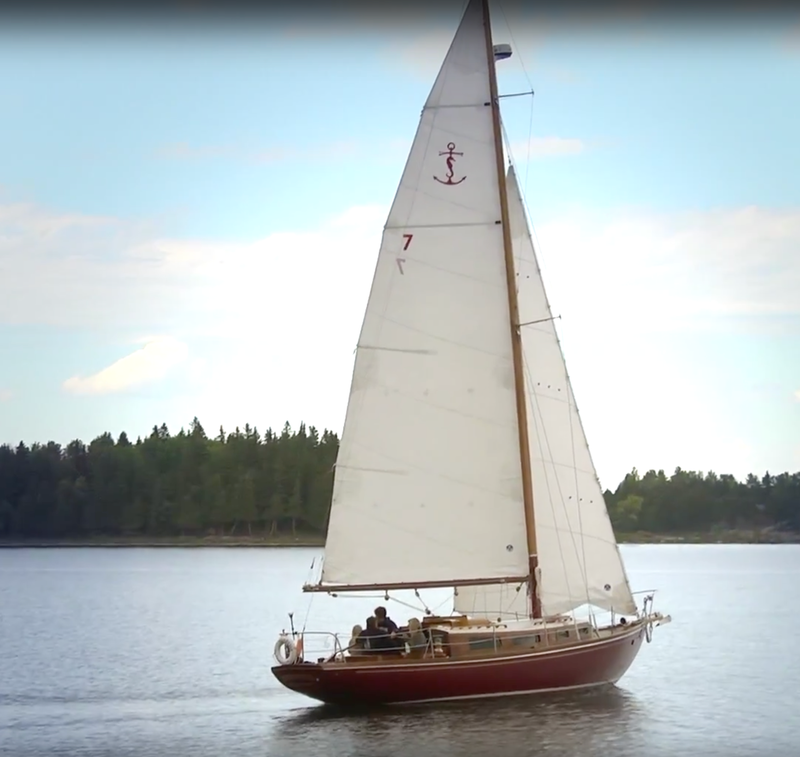 ANNELISE is a 36’ fractional sloop, built in 1958 in Norway for the Fastnet race of 1959—a true racing boat from that period. 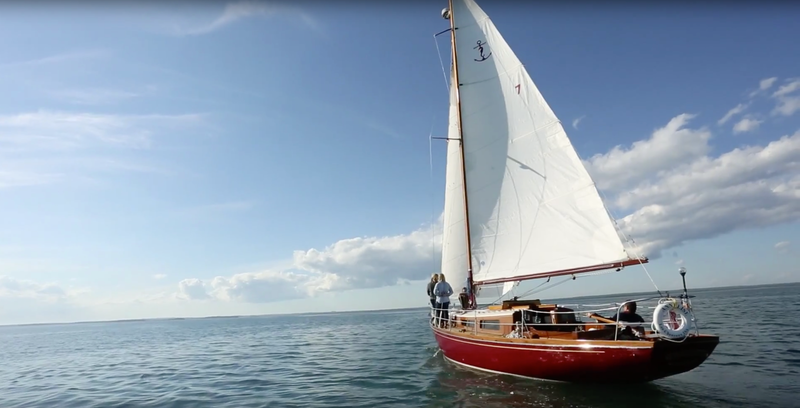 ANNELEISE was totally restored – a process that spanned 3 years – by EJ Mertaugh Boat Works in Hessel MI, a renowned Great Lakes restoration company specializing in wooden boats that has been in business for over 90 years. Mahogany hull, teak deck and cockpit, Sitka spruce mast and boom, white oak in keel spine and the structural hull components. New diesel engine, new electrical, new waste disposal, new fuel tanks, Baby Blue spinnaker, new North sails (main, genoa; .7, .9, 1.0, 1.5) new seat cushions, new Garmin navigation with split screen radar, sonar, chart plotter. New galley, new stove (never used), new oven (never used), new microwave (used twice), new refrigerator (used 4 times). New Elm blocks with bronze silicone ball bearings (made in Holland), new running rigging, dual bilge pumps. Six batteries with AC inverter. All deck fittings and gear replaced with bronze, including Harken custom Bronze sheet wenches (2-way self-tailing) on mahogany custom deck blocks with bronze racing cleats; new galley flooring in Teak and Holly. ANNELISE is in Bristol condition and has not been in salt water since the restoration. 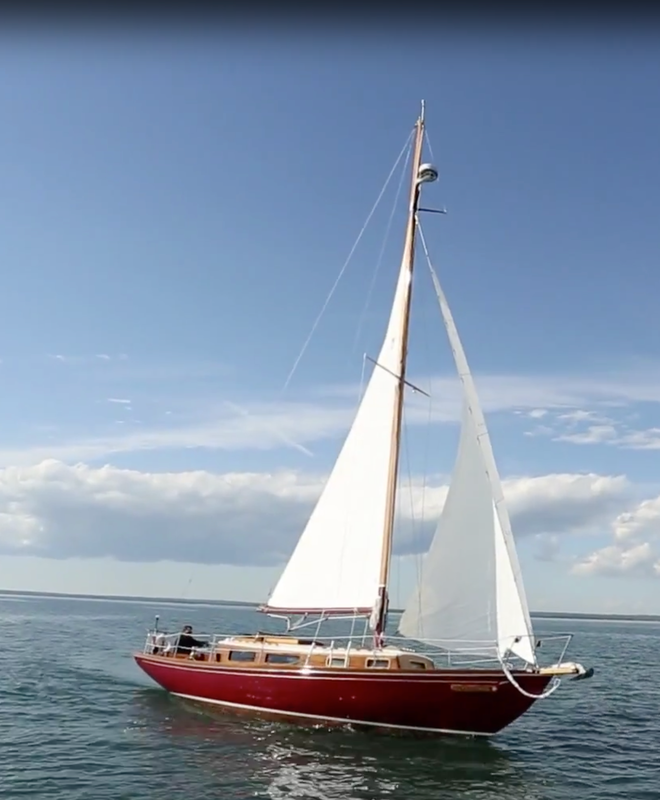 This boat is capable of 12+kts under the right conditions. 18,000+ displacement. 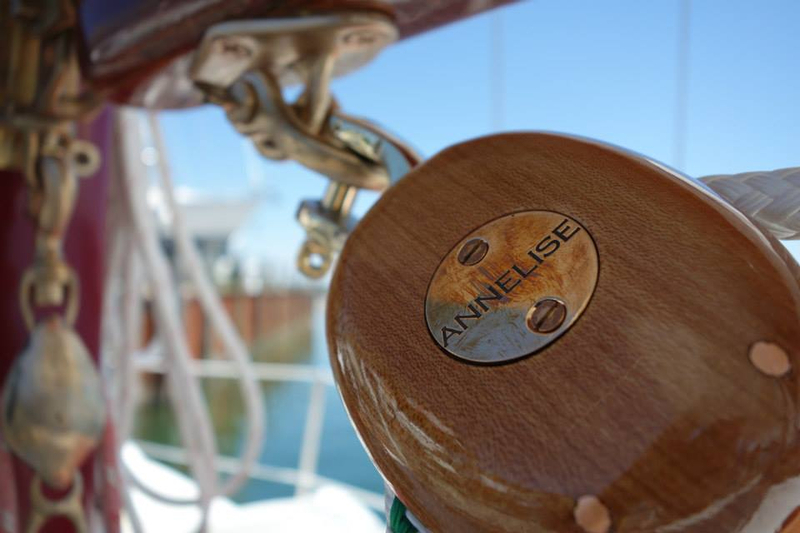 ANNELISE is the most premier 36’ sloop in the Great Lakes. Read more about her and watch a video online.